Sugar is essential to brewing Kombucha Tea. 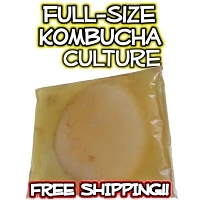 These days, we are hyper-aware of sugar and consider it to be “bad.” However, as you know from drinking Kombucha, the sugar is clearly not for YOU but rather it is a fuel source for the SCOBY. There is a beautiful alchemy that occurs wherein the Kombucha culture transforms sugar, which is toxic to the human organism in large quantities, and coverts it into healthy acids. Let’s take a closer look a the types of fuel sources (sugars) that are good for brewing Kombucha. 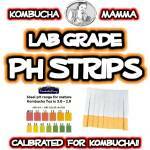 What sugar types can be used for brewing Kombucha Tea? Cane sugar is the most common type of sugar that is used for brewing Kombucha. Most people use “plain white sugar” – you want to make sure the package says “cane sugar” on it or you are most likely using GMO Beet Sugar. 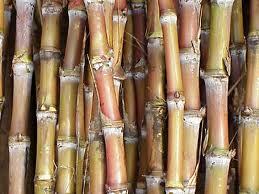 Cane sugar has been used by humans for over 5000 years. 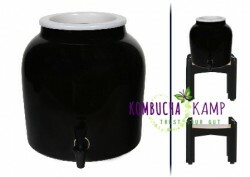 It is most likely what has been used to feed Kombucha cultures for centuries! That is why it is the best food for your SCOBY. The yeast easily converts the sugar into ethanol (step 1 of the fermentation process). Then the bacteria convert the ethanol into healthy acids. Check out this article for more details about sugar & Kombucha. Since Kombucha is intended to gently detoxify the body, I prefer to use organic, evaporated cane juice in order to avoid adding any harmful chemicals from the sugar bleaching process to my brew. However, thousands of people use plain old white sugar to make their Kombucha. 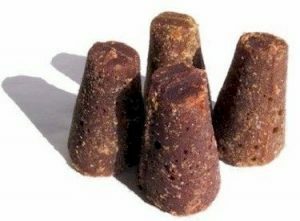 Jaggery and piloncillo often come pressed in cones. All of these are types of cane sugar. 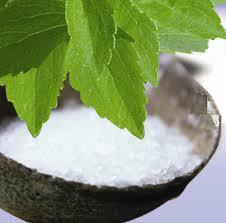 Most of them are not as refined as the white sugar crystals most of us are accustomed to purchasing on a regular basis. The benefit to using these sugar types is that they are higher in mineral content, have less noxious chemicals (since they are not artificially bleached white) and are generally more nutritious. In some countries, this IS the type of sugar most commonly used. 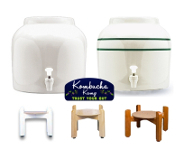 All of them can be used to brew Kombucha, however, due to the higher mineral content, they may cause the brew to sour more quickly. Taste frequently to determine the right brewing cycle for your taste preference if you this type of sugar. 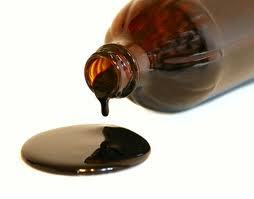 Molasses is a by-product of sugar cane processing. It contains more iron, calcium, potassium and magnesium than table sugar. It may take the SCOBY a bit longer to break down the components of molasses before it gets to the sucrose. But the resultant brew will also have the extra minerals present. It can be substituted for sugar in a 1:1 ratio. The higher mineral content may also cause the brew to sour more quickly. It may be best used in combination with other sugar sources so the flavor doesn’t dominate – unless, of course, you enjoy that flavor! YES! You can use honey to brew Kombucha. However, you may want to avoid raw honey as it does contain its own colony of bacteria that could adversely affect the culture. 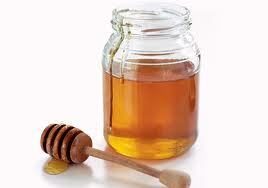 To use honey, substitute 7/8 of a cup of honey for every 1 cup of sugar. 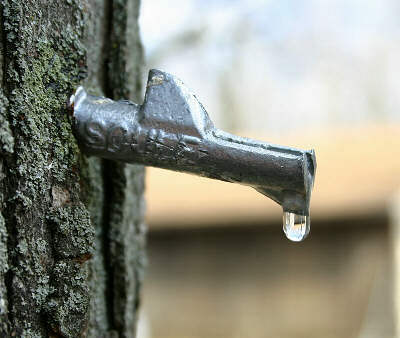 Maple syrup is the concentrated sap of the maple tree. 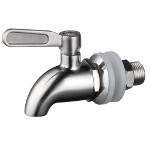 It is high in trace minerals such as zinc and manganese. 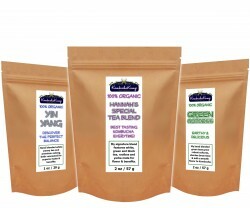 These trace minerals will be passed on to you in your KT. It will add depth to your brew. Use 1/2-2/3 cup of maple syrup per 1 cup of sugar. Avoid commercial brands that also contain corn syrup. B Grade Maple syrup is less processed and may be a better choice. 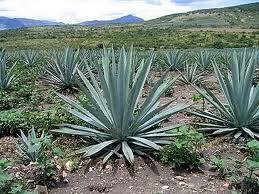 Agave is a natural sweetener that has recently risen in popularity. 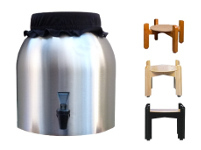 It is possible to use agave in the Kombucha brewing process. It may yield a more sour brew so you could cut it to 1/2 cup of agave syrup per gallon batch. Agave is primarily a fructose based sweetener and as such lacks the glucose that stimulates the bacteria to produces the “g” acids such as gluconic & glucuronic acid which aid in the detoxification process. Those seeking to avoid cane sugar products have turned to a new source, coconut palm sugar. Made by crystallizing sap from the coconut palm tree, this dark sugar is rich in minerals. 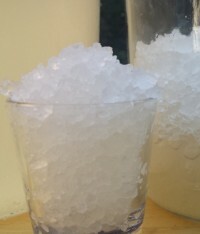 Those who brew Kombucha with this sugar often find that it has a sour or bitter flavor. Like the other cane sugars, that mineral content may require a shorter brewing cycle. 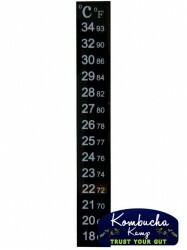 Taste frequently to find the right brewing cycle length for your taste preferences. Stevia and Xylitol are not fermentable by the yeast. 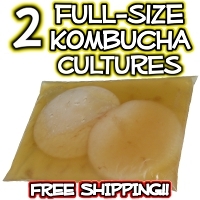 They are not recommend to use in Kombucha brewing. The only batches I made with stevia ended up with mold. If you have had a different experience with stevia, I’d love to hear about it! At Kombucha Kamp, we use organic, evaporated cane sugar crystals for brewing Kombucha and cultivating our bacteria farm. Again, the sugar is NOT FOR YOU!! You might think that you are helping yourself by not adding all of the sugar the recipe calls for, in fact you are starving your culture. There are lots of other types of sweeteners not listed here that can be used in brewing Kombucha – brown rice syrup, glucose, sorbital, dextrose etc. If you have experience in brewing with any of these types of sugar, I’d love to hear more about it!